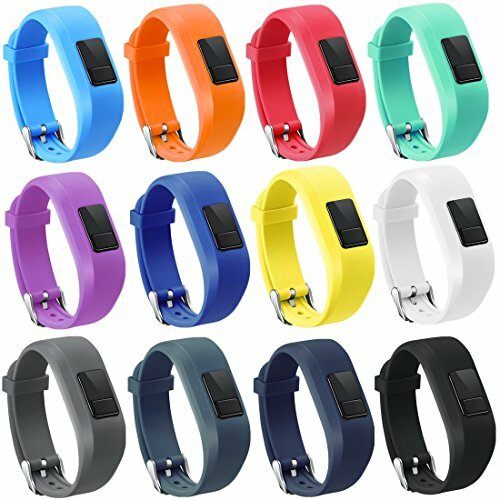 Provide multiple color for your vivofit jr jr.2 to look unique. 12PCS Vivofit JR/JR.2 bands,made of high quality,softable and durable material. Multiple color for your Vivofit JR/JR.2 to change,fit for your kids daily style. Easy to adjust the length by metal buckle,and keep your Vivofit JR/JR.2 safety from falling off. NOTE:6 Months Warranty,not include Tracker,Only for Vivofit JR/JR.2.